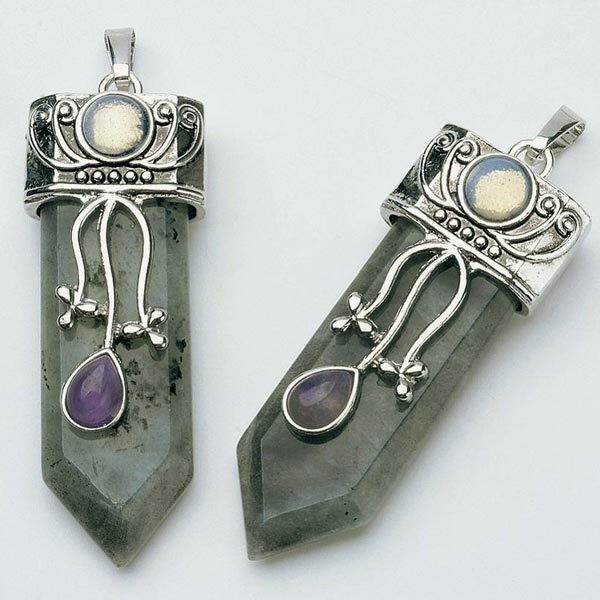 Natural Labradorite blade pendants with Rainbow Moonstone and Amethyst accents. 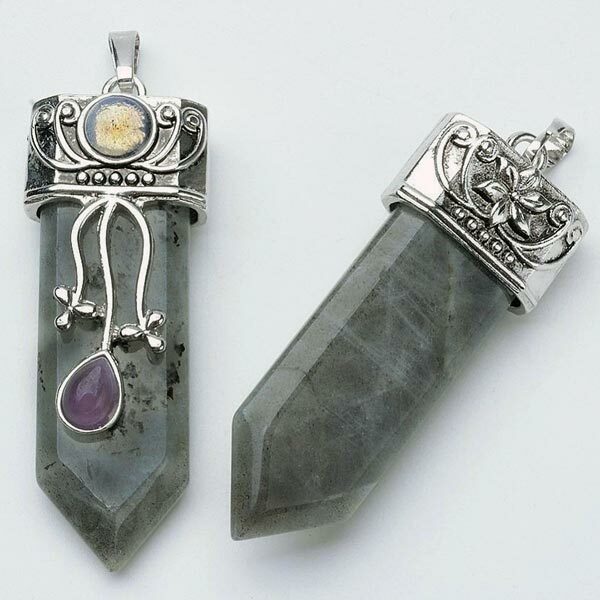 Size: about 20mm wide, 57mm long, 14mm thick, bail large enough for chain or cord. 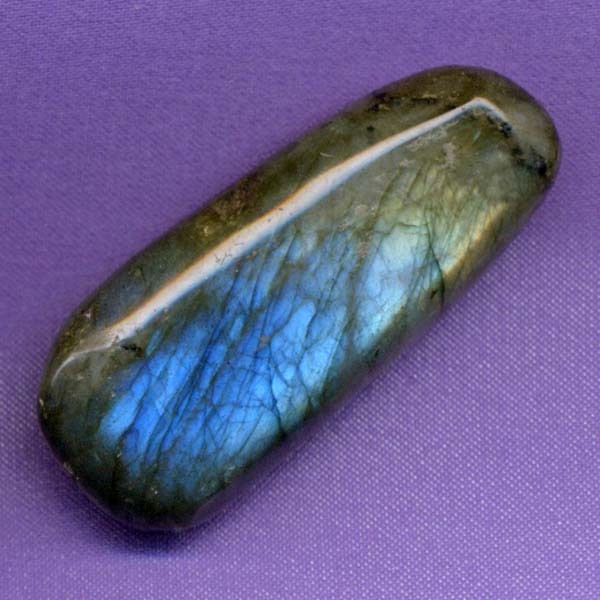 Labradorite provides us with child like enthusiasm and many new ideas.